Tiadaghton’s forest features high-country flats bisected by clean, fast-moving mountain streams, including the legendary Pine Creek and Slate Run. 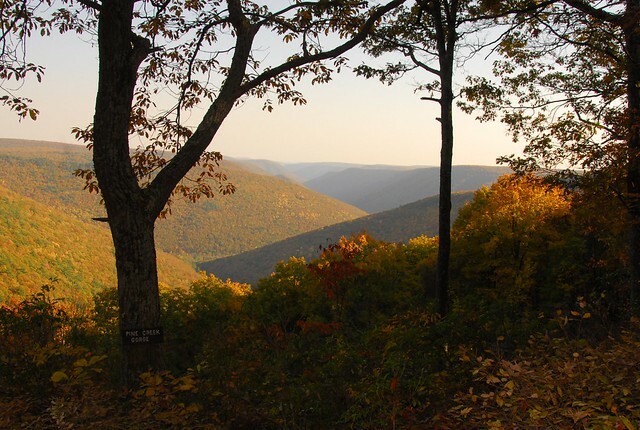 It is one of eight state forests located in the Pennsylvania Wilds region. Come and explore the many interactive exhibits at the Tiadaghton Resource Management Center (PDF) that tell the story of the area and the work of DCNR’s Bureau of Forestry. See what you can do in a Day in Tiadaghton State Forest (PDF). DCNR’s Bureau of Forestry is in the process of revising the Tiadaghton State Forest Resource Management Plan (SFRMP). A district-level state forest management plan is written for each of the bureau’s 20 forest districts across the state. The staff of Tiadaghton State Forest hosted a State Forest Resource Management Plan public meeting (PDF) on September 12, 2018. Citizens may review the newest draft of the Tiadaghton SFRMP (PDF). View Tiadaghton State Forest’s 2019 management activities (PDF) for upcoming projects and events to implement the State Forest Resource Management Plan.